Retail Price $29.99 0 1 Like this product? 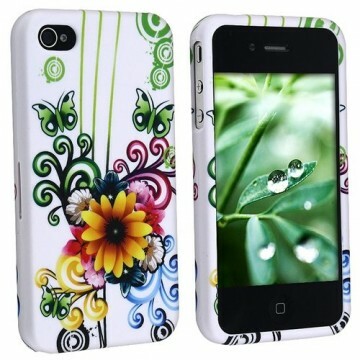 A special design case for iPhone 4, spice up your phone! A unique design allows easy access to all buttons, controls and ports without having to remove the skin. This fabulous case is the perfect combination of superior protection and stylish design. Fits perfectly compatible with Apple® iPhone® 4 from both AT&T and Verizon. Use this case to reduce the chance of signal loss. Delivers instant all around protection from scratches. Constructed from smooth, treated rubber that resists dirt and stains. TPU, also known as thermoplastic polyurethane, is more cut and tear resistance over rubber. It is abrasion resistance, and has a high degree of transparency.